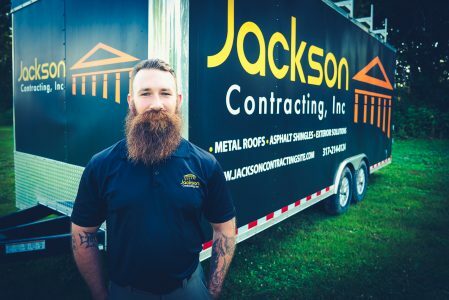 Meet our team - Jackson Contracting Inc.
We’re honored to have the opportunity to visit your home or business and give you a quote for a roof and would love to introduce our sales and management team to you, so you can put a face with a name, long before the first meeting ever takes place! A central Indiana native, Cody Heller has been with Jackson Contracting since 2016. Cody’s background is in both construction and sales, giving him both the knowledge and experience needed to suggest new and different projects to his customers. Specializing in both commercial and residential, Cody has worked on projects of all sizes, offering expertise when it comes to warranties, products and colors. 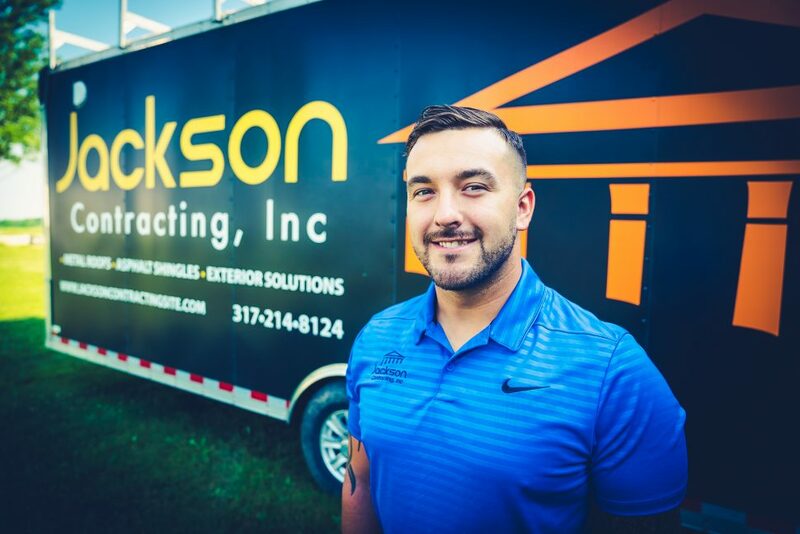 With us since the beginning, Cade Gibson manages our Property Maintenance division of Jackson Contracting. Working exclusively with commercial contracts, Cade manages crews, projects and deadlines on a daily basis. While he may not have a customer-facing position, chances are you will see him working around Indy, maybe even your neighborhood! 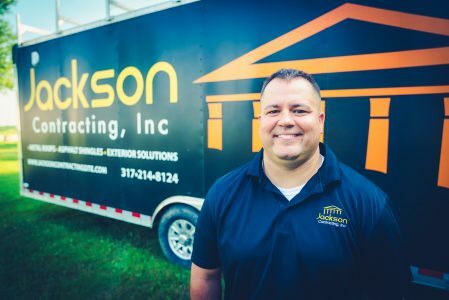 Residing in Indianapolis, Brandon has spent many years in the roofing industry. If you are faced with an insurance claim from storm damage, Brandon has the skills to help navigate homeowners through the process, meet with their adjuster and help them understand their insurance scope. From residential to commercial jobs, Brandon is a good resource for our customers! While he is the original salesman of Jackson Contracting, you will mostly see Jonathan on the job-sites these days. Jonathan focuses mostly on quality, ensuring we are always delivering a top-of-the-line product and meeting expectations. 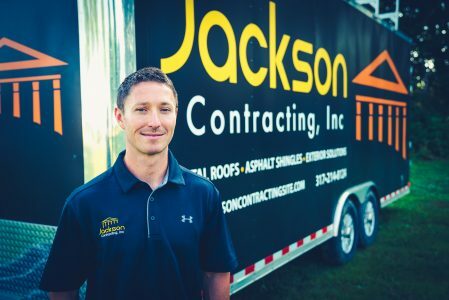 From small jobs to large commercial jobs, Jonathan has navigated Jackson Contracting through a wide variety of jobs, but the focus of quality and customer satisfaction always remains the same – job after job.